“Scratch” Division: A division where the “Tiger Woods or Pete Weber’s” of the wheelchair bowlers compete against one another. These individuals have achieved a high skill level in wheelchair bowling and most have won numerous titles throughout there bowling career. Most of these Scratch bowlers maintain an average of 170 or better. “A” Division: This division is for those wheelchair bowlers that are aspiring to secure a place with the scratch bowlers or have reached a level that best defines their particular bowling abilities. There are many in this division that have won numerous titles as well. In the A division, individual handicap is use when bowling in tournament play. The handicap range can vary from one venue to another; however, the average range is between 130 and 170 for “A” division bowlers. “B” Division: This division is for those bowlers that have been bowling in a wheelchair for a short period of time but have develop skills and knowledge of the game to know that he/she wishes to continue to work on their development in an attempt to move into higher divisions. Or, they have reached a level that best defines their bowling ability and allows them to be competitive in each tournament. The handicap range in this division is between 85 and 129. “Novice” Division: This division is set up for the brand new bowler. A wonderful division to get the true feeling of competition while learning more about the game of wheelchair bowling. The participants in this division can learn a great deal from the more experienced bowler in other divisions, and those individuals are more than happy to share their knowledge of the game. 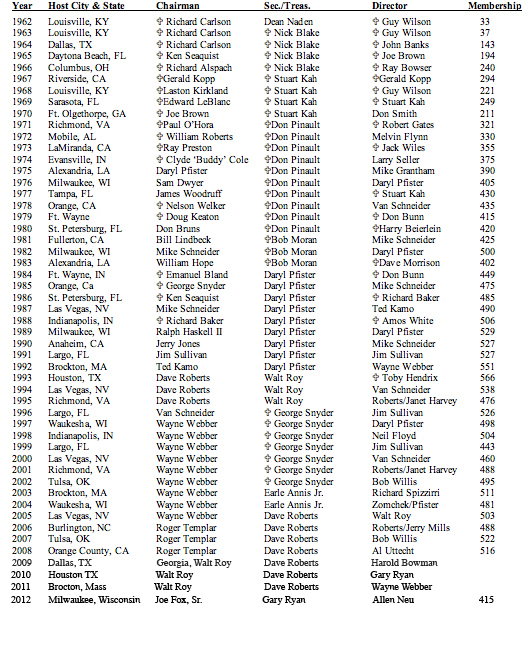 The AWBA maintains and updates after each tournament entered, the Tournament average of each bowler in all Divisions as a part of the members annual dues. So, as a bowler improves his or her average, division placement can change from one event to the next. Should a person not have a tournament average, the AWBA and the tournament director of the respective tournament will either (1) use the participant’s book average that has been established or (2) Assign an average and adjust. The important fact is the AWBA WILL find a place for its members with fairness as its most important objective with participants. Prize money is awarded in each division of an equal amount. The number of participants in each tournament determines the number of places paid in each division with the average of the top 5 place being award prize money. There are maximum’s placed on what can be paid out for the winner of each division. Each tournament however, is managed on a break even budget and the AWBA in no way generates its revenue base from our tournaments. They are held for our members to promote wheelchair bowling in the areas in which they are held. Once you have attended your first AWBA tournament, you will quickly realize that you are amongst individuals that are there for many reasons, but the one that comes through upon your arrival is the camaraderie present. Bowling brings the participates to a central location with bowling on their mind, but sharing stories, developing new friendships, and renewing relationships are first and foremost. Please check our Question and Answer page for additional information.